Tuition Information: Undergraduate residents $4,158, nonresidents $15,714; Graduate residents $8,908, nonresidents $24,062 for the 2010 – 2011 school year. This amount does not include mandatory fees. 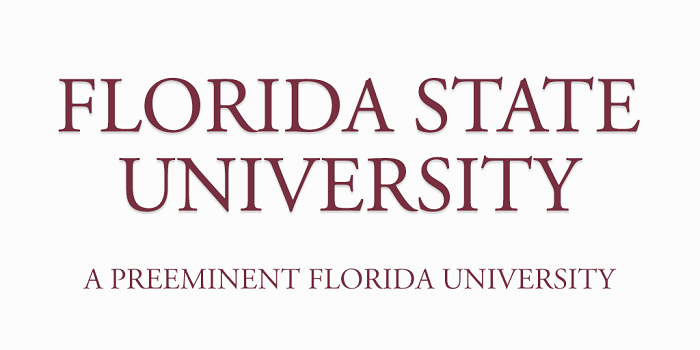 Florida State University students wishing to apply for the Bachelor of Fine Arts in Design must complete a Foundations Program, which includes 19 semester hours of art and art history coursework, and submit a portfolio in order to be admitted to this highly competitive program. After admission, students select a concentration or combination of concentrations within the Design program. Coursework includes digital imaging, drawing, studio art, graphic design, web design and portfolio development as well as concentration-specific coursework. Mandatory semester meetings and reviews ensure faculty involvement in student progress. Students must create a graduation exhibition. Graduate students may also concentrate in one or more areas. They complete coursework in art history, theory and criticism, critical theory and studio art. A thesis exhibition and paper are required. M. F. A. candidates participate in formal reviews and open studio reviews. A portfolio and list of exhibitions, workshops and art achievements are required for admission to the M. F. A. program. B. F. A. and M. F. A. students must purchase a laptop computer. Internships and international programs are available. M. F. A. candidates may apply for teaching assistantships and research assistantships. State and university scholarships are available, including the Florida Bright Futures Scholarship for state residents. Residents of Alabama, Arkansas, Delaware, Georgia, Kentucky, Louisiana, Maryland, Mississippi, North Carolina, Oklahoma, South Carolina, Tennessee, Texas, Virginia and West Virginia may be eligible for tuition reduction under the Southern Regional Education Board's Academic Common Market program.